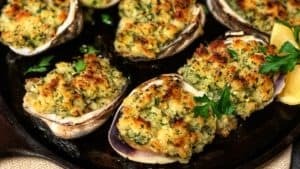 As I was searching for ideas for my Feast of the Seven Fishes blog, I came across several recipes for Clams Oreganata. 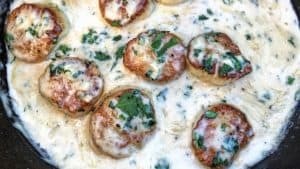 Honestly, this is the first time I ever heard of them…I am very familiar with Clams Casino and even have a recipe on my blog for Clams with Bacon, but this one was a new to me. I watched a few videos and decided to make them…but with a twist. 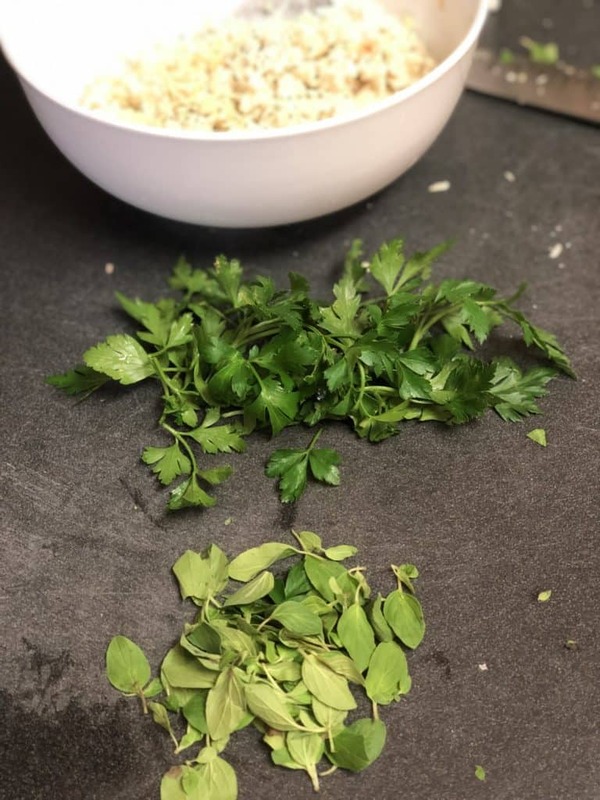 I was having a problem with texture, as most recipes used breadcrumbs. 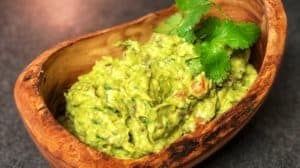 So, I decided to make it my own and they were incredible! 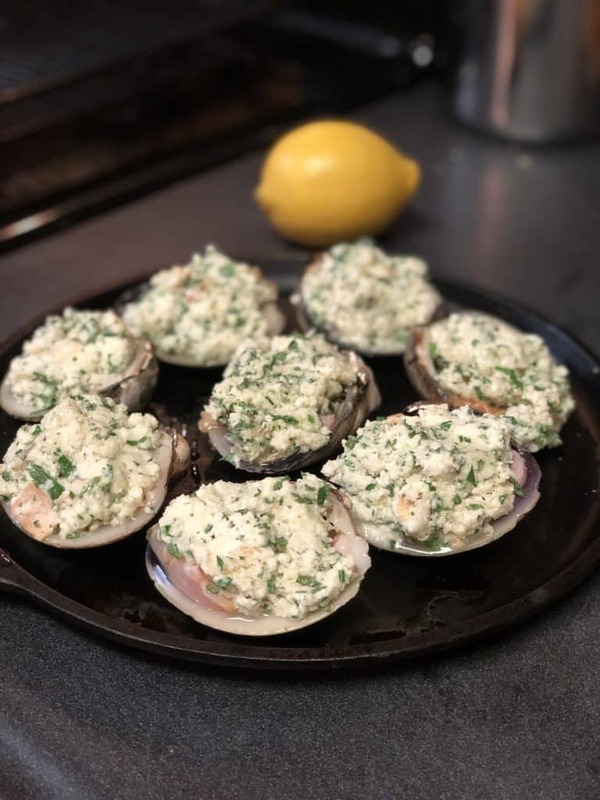 If you are local to Charlotte, head on over to The Carolina Meat & Fish Co. and grab your fresh clams…I used large clams for this recipe, but you could use middleneck clams if you wish…just may be a bit more tedious and you will have to cut the baking time significantly. Heat oven to 450 degrees. 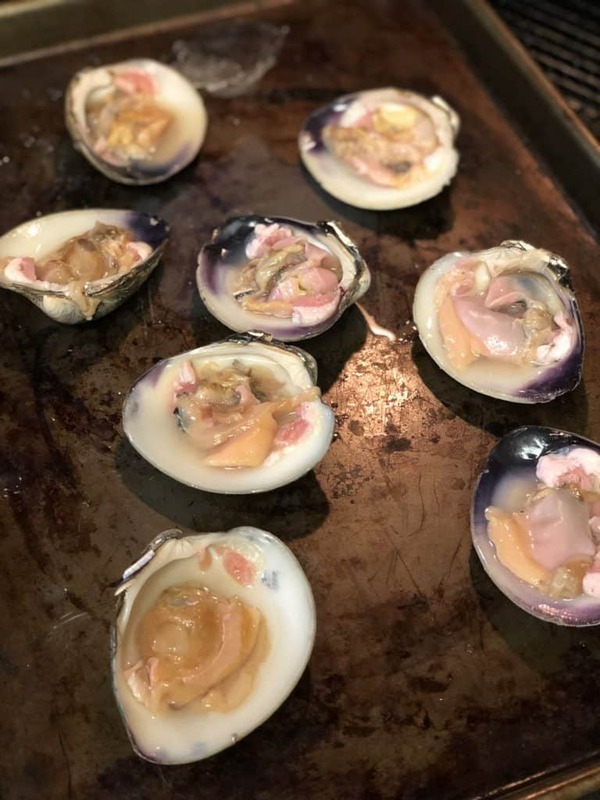 Rinse clams and lay on baking sheet. Bake for about 2 to 3 minutes…just enough to get them to open slightly so that you can pry (shuck) them open. 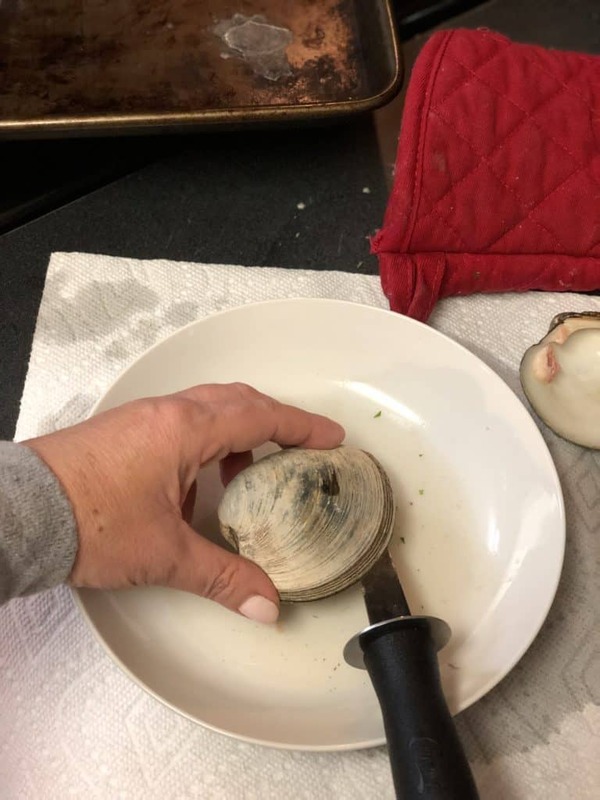 Open up the clams, discard the lid and use your knife to free the clam from the shell. Continue this process until all of the clams have been shucked. 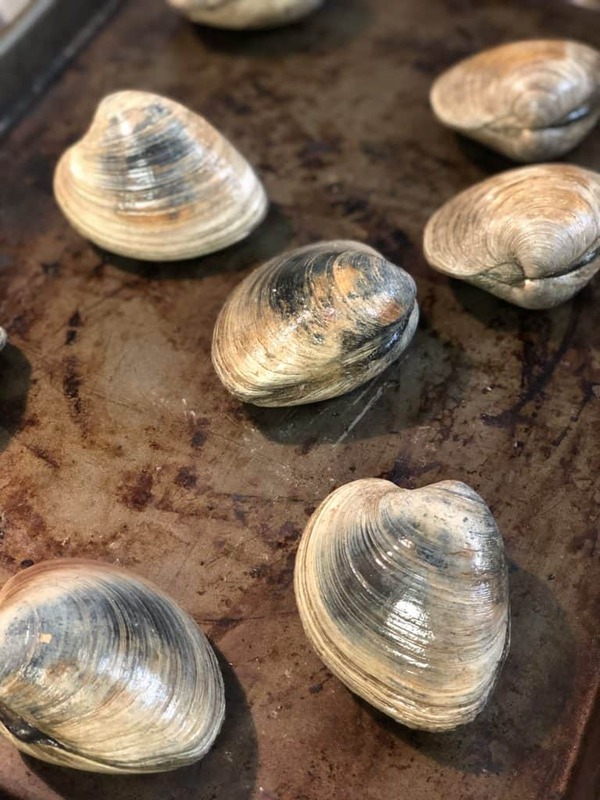 Lay shucked clams, in their shell, on a baking pan. 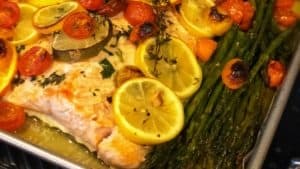 I actually baked mine on a flat cast iron pan. In a bowl, add the heavy whipping cream. 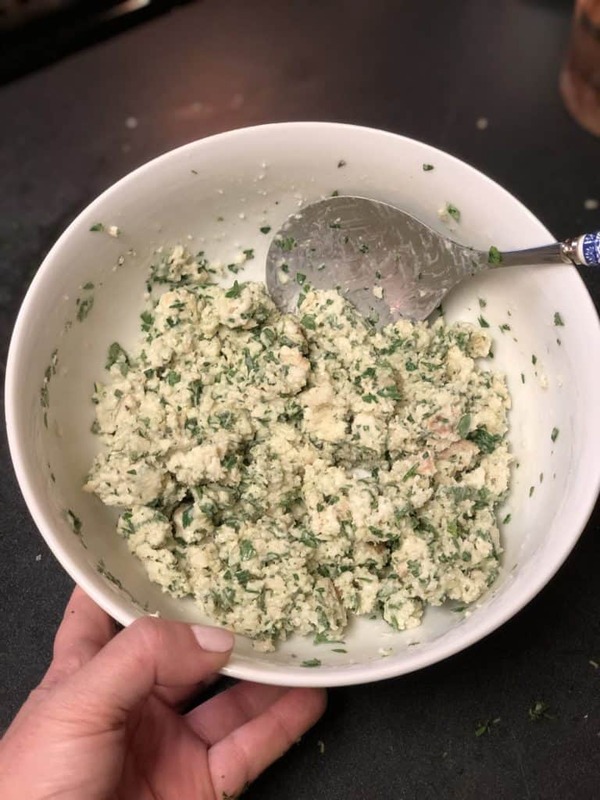 Tear the bread into tiny pieces and add to the cream. Allow the bread to soak in the cream for about 5 minutes. 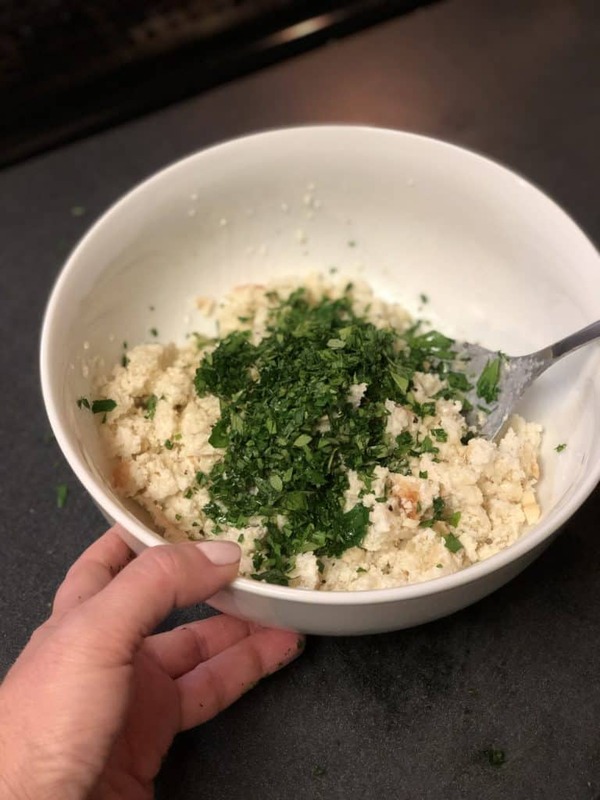 Add the chopped parsley, chopped oregano, garlic, clam juice, tablespoon of olive oil, and salt/pepper. 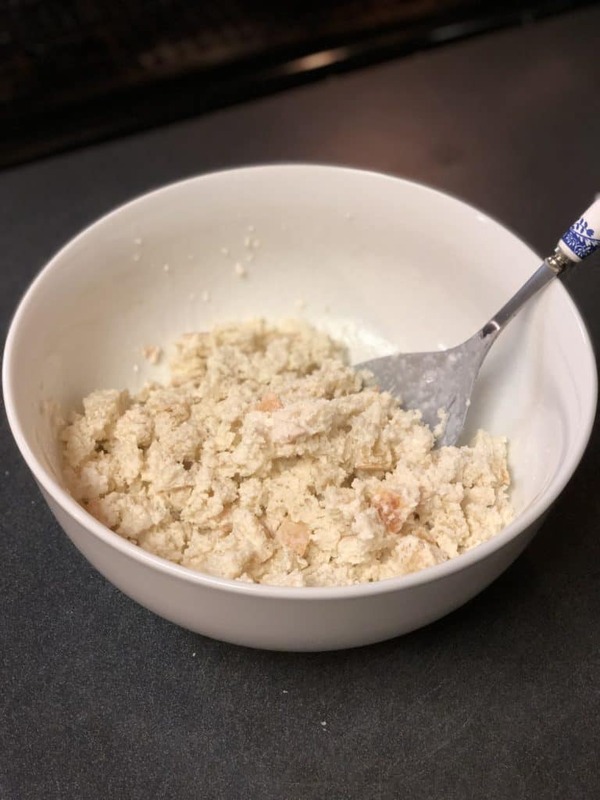 Gently mix…you do not want to overwork the mixture. 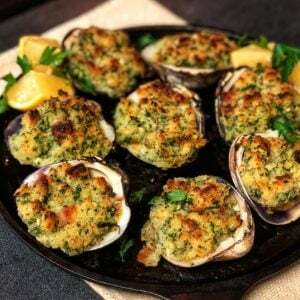 Top each clam with the mixture and bake on 375 for about 10 minutes. Turn on the broiler and broil for another few minutes…just until the mixture turns golden brown.